The winner of this year’s Ancient & Modern Prize was announced on Friday. The chance to win the award of £1,000 is offered to anyone 26 or under or 60 or over (age groups rarely catered for by grant-givers) with a yearning to learn, discover, confirm or experience something, preferably very specific and ideally slightly out of the way. Originality and a certain passion, as well as unwordy applications, are encouraged. The judges never meet. No strings are attached. It was the brainchild of the scholar, writer, sculptor and Morgan-owner John Carswell, a world authority on Chinese Blue and White and Iznik pottery, and is offered by Cornucopia and Hali, with additional support from the big three London salerooms, Bonhams, Christie’s and Sotheby’s. Projects have to appeal to the interests of one or other of the two magazines, in other words things Turkish or textiles. A second prize of £500 is offered in memory of the great Ottoman architectural historian Godfrey Goodwin. This year the prize had to go to a re-count. ‘The results were extremely close,’ reports the Secretary, Julie Witford, with the most points, ‘after much double-checking’, going to Pat Yale, 60, for her travel and book project to follow Gertrude Bell's pre-First World War travels around Turkey. The Godfrey Goodwin prize for the runner-up went to Dr Steven Cohen, 66, for his research into the carpet collection of the Maharajas of Jaipur. There were lots of superb entries. Sadly the younger entrants very narrowly missed out this year. You can read more about them in John Carswell's column in the next Cornucopia. Pat Yale, an architectural historian and journalist based in Cappadocia, is pictured above at Binbirkilise, near Karaman, in central Anatolia. The site was visited by Gertrude Bell in 1905 and the subject of her book The Thousand and One Churches (an edited edition by Robert Ousterhout is available from the Cornucopia store). ‘Thrilled to have won the prize,’ Yale writes. ‘It’s the perfect spur to get me going on part two of the trip, the extreme heat of the southeast combined with Ramazan having forced me to a beat a brief retreat to Cappadocia from Urfa. I set off again on August 1’. Gertrude Bell (1868–1926), born into an County Durham family, was a formidable and fascinating traveller, diarist and correspondent, but more of an Arabist and Classical archaeologist rather than a Turcologist. 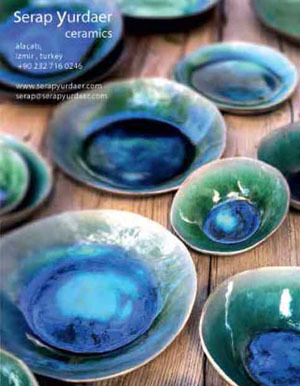 Her Istanbul diaries are described by Ousterhout in his article 'Socialite, Traveller, Scholar, Spy…' in Cornucopia 49. Bell's photographs and papers have been archived by Newcastle University, with an excellent online library. Amazingly, Yale seems to be the first to attempt to retrace the intrepid, boyish Gerty’s every footstep across Anatolia. An account of her experiences will appear in a future Cornucopia. And we look forward to the book. Applications for the 10th Ancient & Modern prize open on August 1, 2015. For more information, visit www.ancientandmodern.co.uk. Please forward this link to anyone who would be interested.